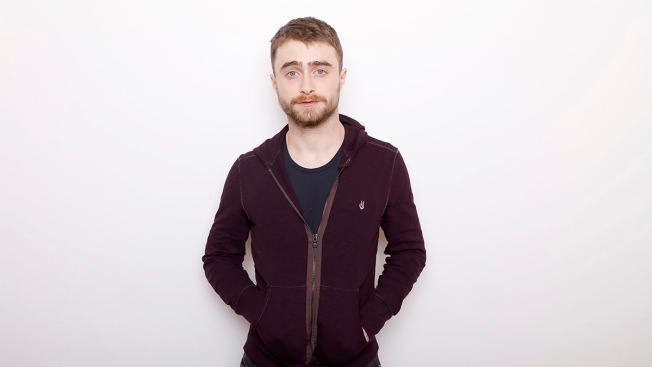 In this Jan. 23, 2016 file photo, actor Daniel Radcliffe poses for a portrait to promote the series, "Swiss Army Man" during the Sundance Film Festival in Park City, Utah. One morning two weeks ago, Brooklyn chef Justin Bazdarich's phone rang. A fact-checker named “Dan” was calling from The New Yorker to corroborate information for an upcoming review of Bazdarich's restaurant, Oxomoco. On the other line was Daniel Radcliffe — the former Boy Who Lived, getting relevant experience for a new role on Broadway. Radcliffe, who is best known as the titular actor in the Harry Potter films, is now starring in "The Lifespan of a Fact" as a fact-checker who edits an article by a writer (Bobby Cannavale) with different priorities. The play is based on the bestselling book by the journalist John D'Agata and the fact-checker Jim Fingal. Radcliffe spent a day at The New Yorker shadowing a fact-checker and was tasked with a restaurant review. Radcliffe told The New Yorker he was more nervous about fact checking than going on stage that night. Bazadrich, the Brooklyn chef, found out later that Radcliffe had been the one to call him. New Yorker writer Michael Schulman, who penned the article about the unfolding events, wrote on Twitter that the chef reacted with great enthusiasm: "My mom’s going to lose her s***! She’s the biggest Harry Potter fan." Schulman also posted a photograph of Radcliffe's proof, with black underlines and red slashes and phrases like "Rhubarb" and "toasted pan" etched across the page. Radcliffe was called in the days following by a fact-checker looking to corroborate the article on Radcliffe’s brush with fact checking. "Very meta," Radcliffe told the magazine. "The Lifespan of a Fact" runs through Sunday, Jan. 13 at Studio 54 and runs 1 hour 35 minutes with no intermission.